This month’s challenge as part of the Happy Healthy Mama Healthy Year Challenge is to be more mindful. Mindfulness is not just about daily meditation (although it can be a part of it, for sure). Mindfulness is more than that. It’s the practice of cultivating a focused awareness of the present moment, and that is something we can do everyday, throughout our day. It’s about paying attention intentionally. 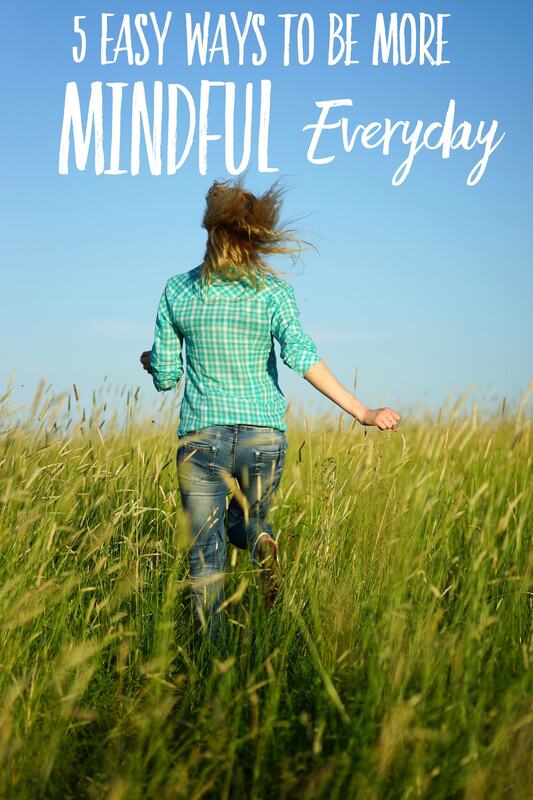 During this challenge, I want to learn how to be mindful everyday. I hope you’ll share this journey with me and learn to bring mindfulness into your everyday life, too. Here are five ways I’ve been working to be more mindful everyday. It sounds so easy, but this takes practice. As you are thinking, act like a silent observer of your thoughts. Pay attention to what you are thinking as you are living. You don’t have to take your thoughts seriously, just acknowledge them. 2. Don’t judge your emotions. Happiness is just one emotion on a wide spectrum of emotions, and it’s not meant to be the only one we feel. It’s okay to different emotions throughout your day. Sadness, anger, frustration, and fear are all a natural part of life. If you feel these emotions, acknowledge them. Accept them. It’s okay to feel them. I am guilty of glorifying the art of multi-tasking. It’s easy to let our lives get so busy that we feel the only answer is to multi-task. I’m challenging myself to focus on one thing at a time this month and really pay attention to that one task as I am doing it. I will probably still listen to audiobooks while folding laundry, but I will make it a goal to be focused on the one task I am completing more often. 4. Be a mindful listener. This is huge. When your spouse, coworker, or children are talking, focus on really listening. Look at them, think about the words they are saying. Give them your full attention. When I do this, I can see in my kids’ eyes how appreciative they are. I’ll be working on this at full force this month. 5. Don’t be constantly connected to your phone/computer/tablet. You can’t be mindful, fully present, if you are ever connected to a device. Our culture has become such that every unfilled moment needs to be filled with a newsfeed. Scrolling, scrolling, scrolling, mindlessly passing the time. Let’s work on putting our phones down and paying attention to what’s going on in the world around us. Right now. As we are living it. I will be sharing moments of mindfulness and how it’s impacting me on Instagram throughout the month. 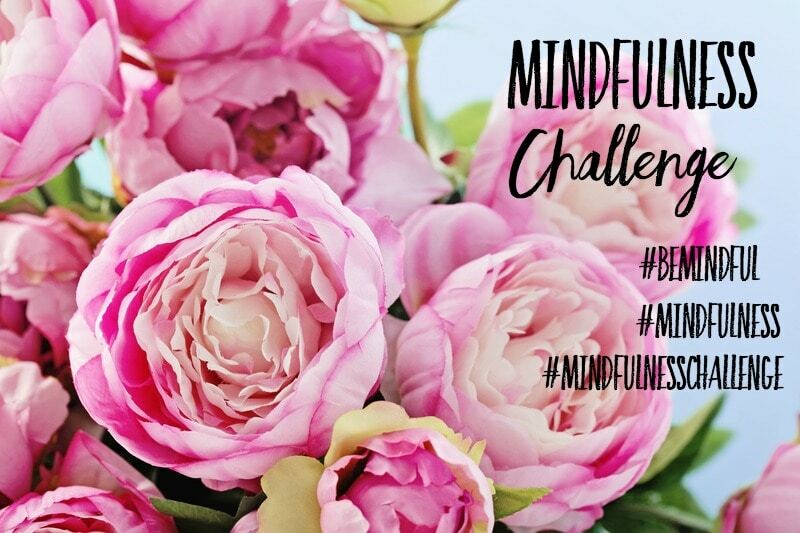 Follow me there and look for the hashtags #bemindful #mindfulness #mindfulnesschallenge Be sure you share your moments, also! Ah, this is something I try to do on a daily basis. And on a daily basis I feel I’m failing. When I cook, drive, clean, etc. I like to listen to podcasts. I don’t think I’ll change that. What I would like to change is to be more in the moment when I spend time with my kids and husband. I’m always thinking and planning on what’s next: what meal, what activity, what part of the house needs to be cleaned, etc. I’m right there with you Alina. It’s a struggle. That’s why I decided to focus on it this month. I’m getting better, but it’s definitely not easy.